There's nothing more I love than a beautifully layered room! 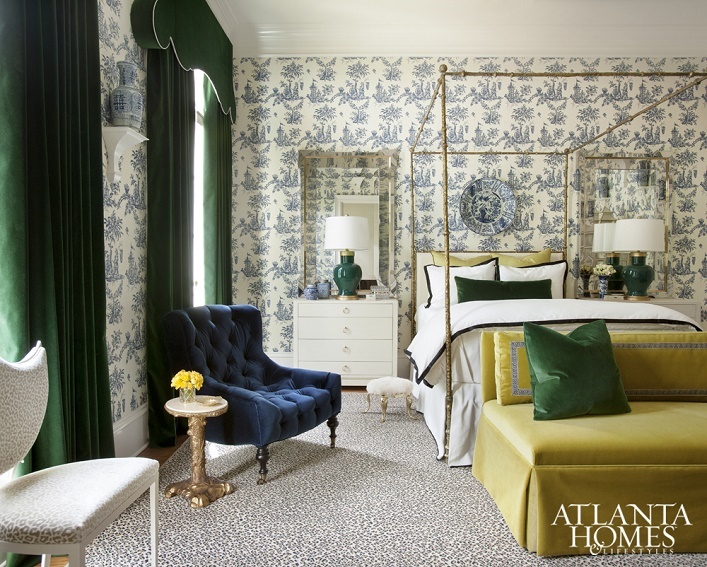 This gorgeous bedroom designed by Melanie Turner is such example! 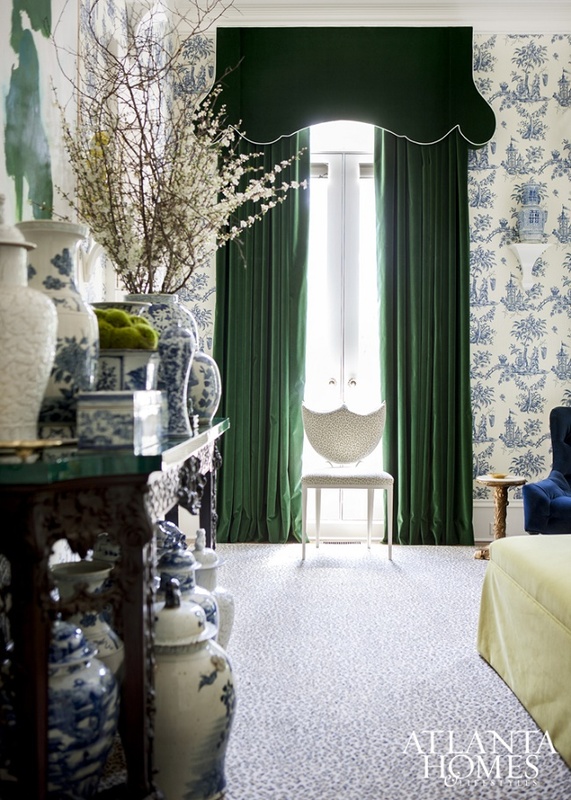 She starts designing the room by keeping the existing blue and white chinoiserie wallpaper and expertly freshen the room up by weaving in rich emerald greens and mustard yellows into the space. I like how she uses a visually lighter gold hammered bed to counterbalance the bold, patterned wallpaper. The custom pagoda-inspired window treatment adds a whimsical touch to the space while the leopard-print rug provides an effortlessly neutral pattern that grounds and ties the bedroom together. A classic, updated bedroom with a collected and fresh vibe is always a winner in my book! Are you drawn to this chic, thoughtfully designed room as well?